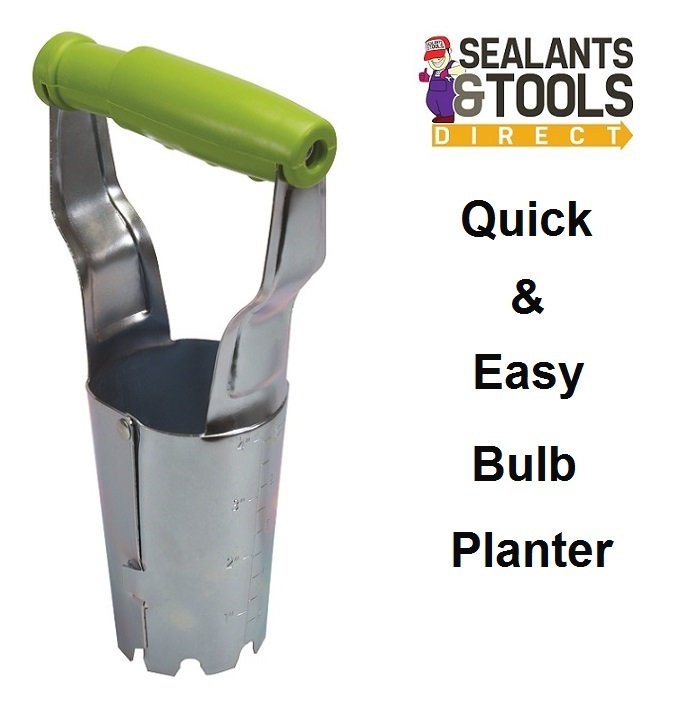 Metal planter with easy-grip plastic handle, used for quick and easy planting of bulbs in the garden. Serrated digging teeth allow for easy insertion into prepared soil for undug soil use the related product. Metric and imperial graduation to measure depth of insertion.